Below you fill find all funeral homes and cemeteries in or near Silverton. Silverton is also known as: Marion County / Silverton city. Their current mayor is Mayor Rick Lewis. Zip codes in the city: 97381. Some of the notable people born here have been: Donald Pettit (chemical engineer and astronaut), Bill Grier (basketball coach and coach), Scott Gragg (american football player and coach), and Brian Knutson (stunt performer). Silverton is a city in Marion County, Oregon, United States. 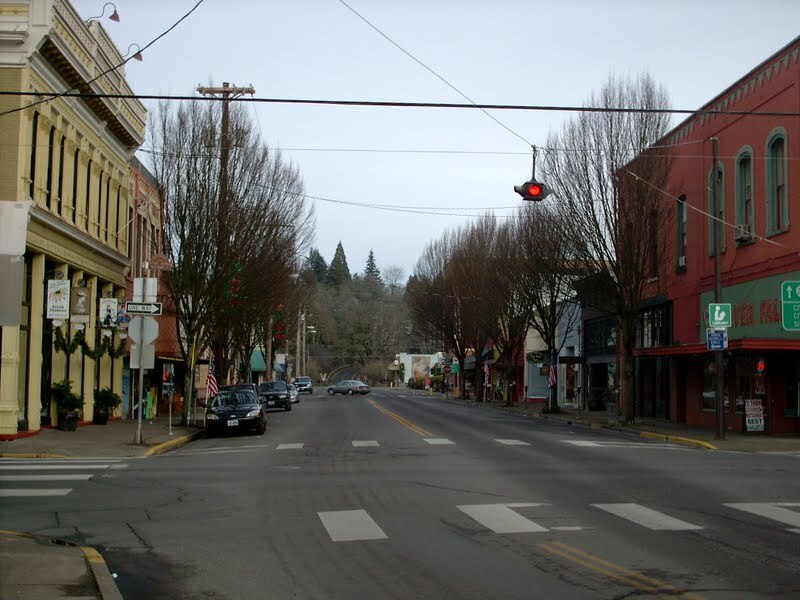 The city is situated along the 45th parallel about 12 miles (19 km) northeast of Salem, in the eastern margins of the broad alluvial plain of the Willamette Valley. 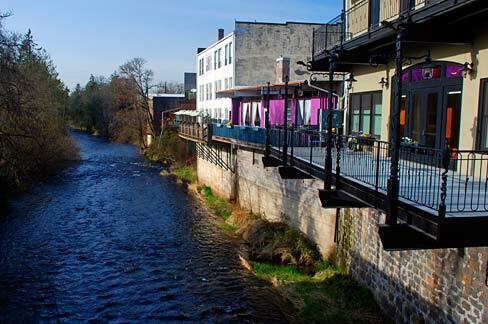 The city is named after Silver Creek, which flows through the town from Silver Falls into the Pudding River, and thence into the Willamette River. Silverton was originally called Milford, then Silver Creek; on July 16, 1855, Silver Creek became Silverton. Human habitation of the Silverton area extends back approximately 6,000 years before the present. In historical times, the region was dominated by the Kalapuya and Molala peoples, whose seasonal burns of the area made it plow-ready and attractive to early 19th century Euro-American settlers. 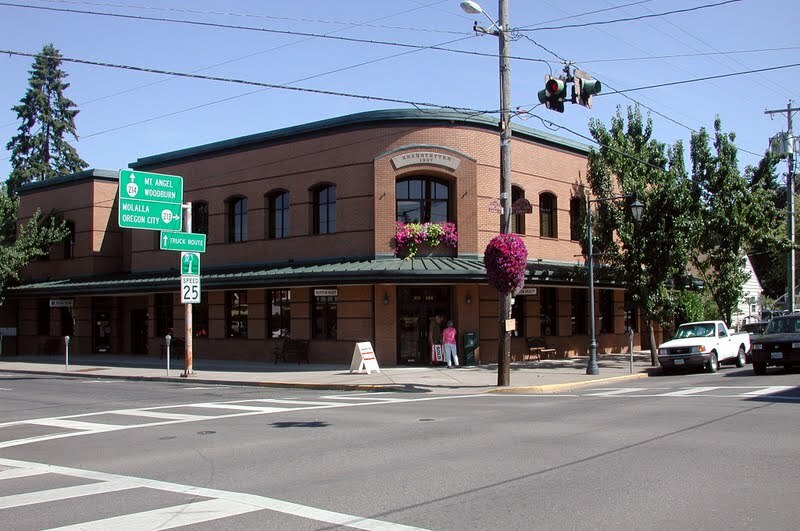 Farming was Silverton's first major industry, and has been a dominant land-use activity in and around Silverton since the mid-19th century.Silverton is part of the Salem Metropolitan Statistical Area, and the population core of the Silver Falls School District. The population was 9,222 at the time of the 2010 census. It was reported by The Statesman Journal on August 29th, 2018 that Amy Lou Hensley (Espe) died in Silverton, Oregon. Ms. Hensley was 89 years old and was born in Hancock, IA. Send flowers to express your sympathy and honor Amy Lou's life. It was reported by The Statesman Journal on August 19th, 2018 that Mary Joan "Jo" Leonard perished in Silverton, Oregon. Leonard was 88 years old. Send flowers to share your condolences and honor Mary Joan "Jo"'s life. It was revealed by The Statesman Journal on August 5th, 2018 that Michael Dean Andrews passed away in Silverton, Oregon. Andrews was 41 years old and was born in Escondido, CA. Send flowers to express your sympathy and honor Michael Dean's life. It was revealed by The Statesman Journal on August 5th, 2018 that Jean A Hadley (O'Neil) perished in Silverton, Oregon. Ms. Hadley was 70 years old. Send flowers to share your condolences and honor Jean A's life. It was written by The Statesman Journal on August 5th, 2018 that Samuel Anthony "Sam" Linn passed on in Silverton, Oregon. Linn was 72 years old. Send flowers to share your condolences and honor Samuel Anthony "Sam"'s life. It was noted by The Statesman Journal on August 4th, 2018 that Edith Stadeli (Kaufman) perished in Silverton, Oregon. Ms. Stadeli was 90 years old. Send flowers to express your sorrow and honor Edith's life. It was revealed on March 17th, 2018 that Esther Joy Corbett (Waldron) passed away in Silverton, Oregon. Ms. Corbett was 83 years old and was born in Tacoma, WA. Send flowers to share your condolences and honor Esther Joy's life. It was disclosed by The Mail Tribune on July 2nd, 2017 that Patricia Anne Nicholson (Keene) died in Silverton, Oregon. Ms. Nicholson was 79 years old and was born in Atlanta, GA. Send flowers to share your condolences and honor Patricia Anne's life. It was written by The Herald on April 2nd, 2017 that Eileen Laeson (Rahn) perished in Washington. Ms. Laeson was 96 years old and was born in Silverton, OR. Send flowers to express your sorrow and honor Eileen's life. It was written by Orlando Sentinel on March 30th, 2017 that Evelyn "Lynn" Cheek passed on in Deland, Florida. Cheek was 87 years old and was born in Silverton, OR. Send flowers to express your sorrow and honor Evelyn "Lynn"'s life. Silverton is a city in Marion County, Oregon County, Oregon, United States. It is part of the Salem, Oregon Salem metropolitan area Statistical Area. The population was 7,414 at the 2000 census. . . The official website for the city of Silverton is http://www.silverton.or.us. Winifred Winnie' Lunde, 99, of Silverton passed away Oct. 26 ... You may sign Winnie's online guest book at www.shoshonefuneralservice.com . Shoshone Funeral Services and Crematory of Kellogg is entrusted with funeral arrangements. We work with local florists and flower shops to offer same day delivery. You will find budget sympathy flowers in Silverton here. Our funeral flowers are cheap in price but not in value.